How to give a gift. When you arrive at your friend’s patchwork page you’ll receive a welcome from them explaining what they’d like you to contribute towards. Then you can look around their patchwork to choose the things you’d like to fund, make or do. 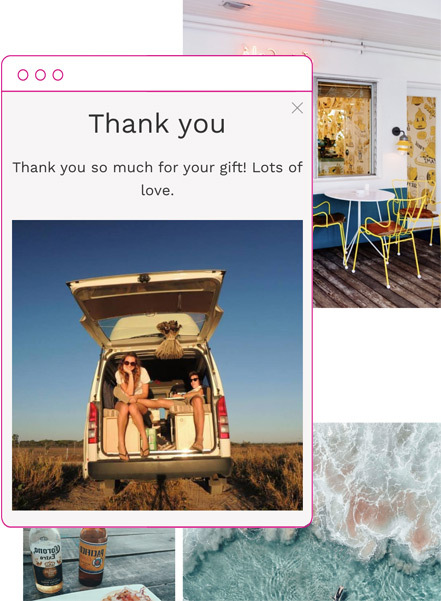 If friends are using Patchwork as a wedding registry or honeymoon fund, just click around the patchwork to choose which items and/or experiences you’d like to treat them to. Then press FUND to add your gift to your BASKET. You can add as many gifts to your basket as you like. When you’re ready just head up to your basket (at the top right of the screen) where you can remove items and adjust quantities before you pay. You need to leave your first name, last name and an email so your friend has a record of your contribution in their account. Then if you’d like to leave your address too, you can - just in case your friend wants to send you a proper printed thank you. You can leave a message along with your gift and also add a photo - if you’d like your lovely face to appear with your words at the bottom of your friend’s Patchwork. When your friend set up their patchwork they had the option of adding their PayPal and/or Stripe account. You will know which one they chose when you get to the checkout page. 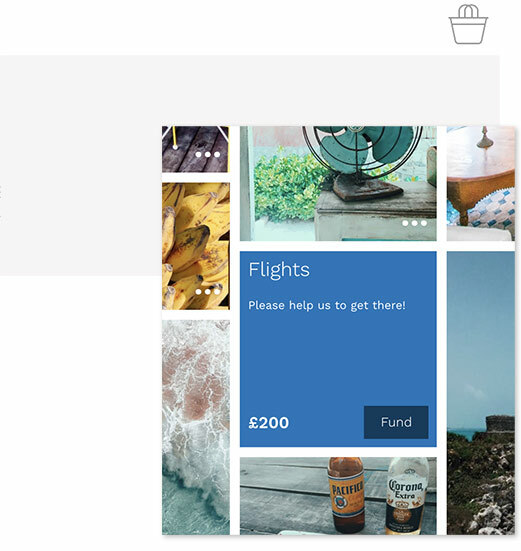 Stripe is a card payment system and PayPal enables you to pay with your PayPal account or a card. If your friend chose Stripe you can enter your card details into the box at the bottom of the page and click ‘submit payment’. You’re done! 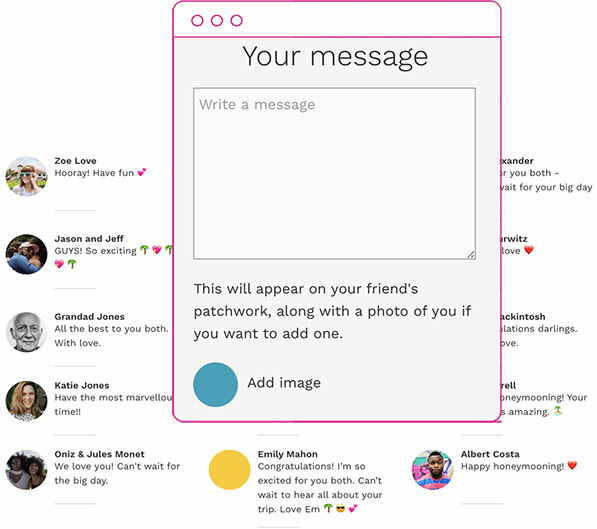 You’ll now be redirected to your friend’s Patchwork so you can see the message you left them. You’ll get a confirmation from us via email. 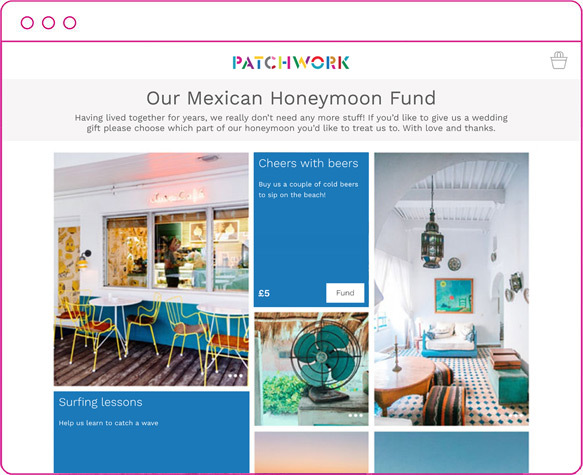 If you have any questions or need further help you can email us on hello@patchworkit.com or call us in our London studio between 9am - 5pm Monday to Friday +44 (0)20 8617 8487. 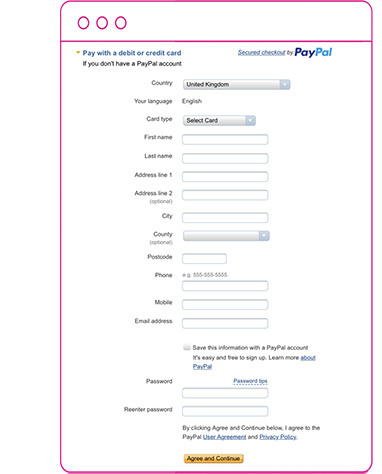 Make sure you un-tick the box at the bottom of the form that says 'save this information with a PayPal account'. Otherwise PayPal will try to sign you up for an account. 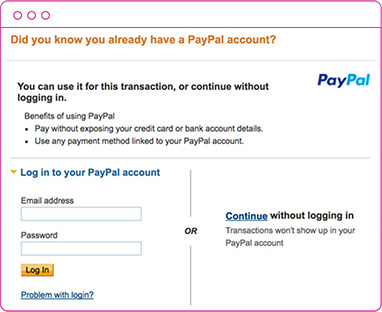 If PayPal reminds you that you have an account, choose the option on the right to ignore it and continue.